Egorov Puginsky Afanasiev & Partners received the European Energy, Infrastructure and Projects Deal of the Year award for its work related to the Sochi 2014 Winter Olympic Games. The Firm was also "highly commended" for work in Russia. The prestigious European Lawyer Awards ceremony took place in London on 12th March 2015. For the first time in its history, the award for “European Managing Partner of the Year” went to a Russian partner, the Chairman of Egorov Puginsky Afanasiev & Partners law firm, Dimitry Afanasiev. Dimitry is well known in the Russian, CIS and the European legal arenas. Throughout his career he has participated in dozens of precedent-setting dispute resolution cases and complex cross-border transactions. Being an exceptional leader, Dimitry runs the only law firm in the CIS to be included in the list of the top 100 largest firms in Europe (The Lawyer European 100). 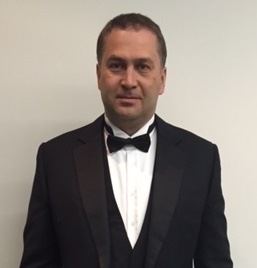 Described by the Chambers Global 2015 directory as "a brilliant strategist," Dimitry Afanasiev dedicates himself to the development of the legal profession and advances in the legislative fields. As part of the initiatives aimed at strengthening ties within the legal community across Russia, CIS and Europe, Dimitry acts as co-chairman of the CIS Leading Counsel Network, has co-chaired the CIS Local Counsel Forum, and in 2014 became the founder and the co-chairman of Sochi Legal, a forum that gathered over 200 delegates from 26 countries. This is not the first award for Dimitry Afanasiev - in 2005 he was awarded the "Fidelity to a Lawyer Debt" Order by the Russian Federal Chamber of Lawyers. In 2007, he was included in The Lawyer’s list of the top 40 lawyers in the world. In 2010 - Financial Times listed Dimitry among the 10 most innovative lawyers in the world. In 2011 the “Russian Reporter” listed Dimitry in the top 10 of the most respected lawyers in Russia. Last year, The Lawyer named Egorov Puginsky Afanasiev & Partners the best law firm in Russia and European Law Firm of the year, as well as awarded its corporate practice as the best in continental Europe. "Afanasiev has led his firm for 15 years, overseeing significant growth and several key strategic moves and creating a true regional powerhouse", states The Lawyer. The Lawyer European Awards ceremony is organized by the UK’s leading legal weekly publication, The Lawyer. The winners are determined by an international judging panel which comprises senior private practice and in-house lawyers with first-hand experience of working with independent firms in a variety of European jurisdictions.